I will always remember April 14th, 2012 as probably the saddest day for any horror fan. It makes me so depressed to report on not only two deaths that happened in the same week, but on the same day too, and of very talented actors at that. The great Jonathan Frid, who was immortalized on television as Barnabas Collins in the daytime gothic soap opera Dark Shadows, died last Saturday at age 87 of natural causes. John Herbert Frid was born in Hamilton, Ontario, Canada on December 2nd, 1924. After graduating from the Royal Academy of Dramatic Arts in London, he soon began his theatre career in the United States 1960, and eventually adopted the stage name Jonathan Frid in 1962. For him, he would not know that he would receive a part that would earn him his name in horror history - Barnabas Collins. One day, Jonathan had barely walked into his apartment while listening to a phone call that had come in from his agent about winning the role as the tortured but mysterious vampire. He accepted the role on the conditions that this character would be short lived, which would provide him some extra cash in the meantime when he would move to the West Coast to become an acting teacher. 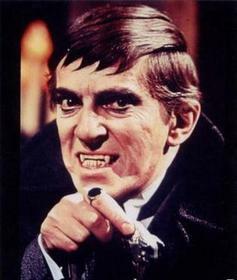 But as soon as Barnabas's popularity soared with viewers of the gothic soap opera, Frid eventually scrapped his initial plans and soon became a regular cast member. In fact, he was and still is the most remembered character from the show. The character of Barnabas Collins first debuted on Dark Shadows at the end of Episode 211 of Season 1 on April 18th, 1967. Barnabas introduces himself as a cousin of Elizabeth Collins Stoddard who has come all the way from England. He then takes up residence at Collinwood, whose dark secret is unbeknownst to any of his family members. The two most interesting aspects about his debut in Dark Shadows is the fact that you never see his face until the very end. 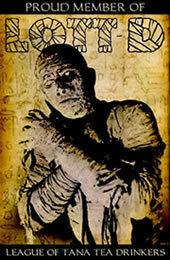 You see Barnabas shot from the back as this ominous figure with a smooth but eerie sounding voice. And also, the reveal of who he is at the end is so chilling, as he looks at the painting of himself hanging on the wall of the Collins' manor, informing Elizabeth's servant that "you may tell her that it's Barnabas Collins", while offering a delectably evil smile. I attribute a lot of this scene's effectiveness due to Jonathan's calm and unsettling voice along with his fascinating facial expression at the very end. What a way to make an entrance (both figurative and literal)! Jonathan would later go on to reprise Barnabas in House of Dark Shadows in 1970, along with many cast members reprising their respected roles from the TV show. After the series' cancellation in 1971, Jonathan would go on to perform in a variety of theatrical productions and one many plays, along with attending several Dark Shadows conventions over the years. He eventually would reprise his role as Barnabas Collins one last time in the audio book Dark Shadows: The Night Whispers, costarring John Karlen as Willie Loomis and Barbara Steele (Black Sunday) as Celeste. Jonathan's final film role was a small cameo in the big budget adaptation of Dark Shadows, directed by Tim Burton and starring Johnny Depp as the sympathetic creature of the night. The film's release date is May 11th, 2012, and on that day, if they don't dedicate the film to Mr. Frid, then I can assure you that there will be true terror. It's hard to find words to say about Jonathan Frid's unfortunate passing, but I will say this much: Rest in peace Jonathan! You are immortal, and you always will be.